It's 2019, but we're still not over Meghan Markle's epic two-week tour of Australia and New Zealand. She wore nearly 20 different outfits over the fortnight, but many items the Duchess of Sussex wore sold out insanely fast. Luckily for us, however, one affordable item she wore on her tour just got restocked. 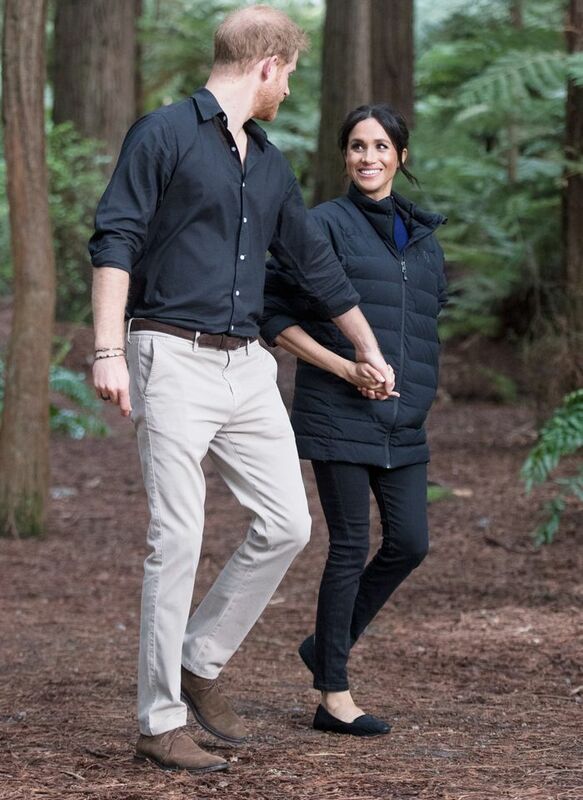 Toward the end of her trip, Markle visited the Redwoods Treewalk in New Zealand wearing a puffer jacket and black skinny jeans with Birdies The Starling Slippers ($120), which promptly sold out at the time. Now, the shoes are officially back, and we have a feeling royal fans will be scooping them up. Scroll down to see how Markle styled them back in October, and shop the newly restocked shoes for yourself. Next up: See everything Priyanka Chopra has worn on her Caribbean honeymoon.